A great feature in Microsoft Test Manager is that it allows you to track which application build your are running your tests against. 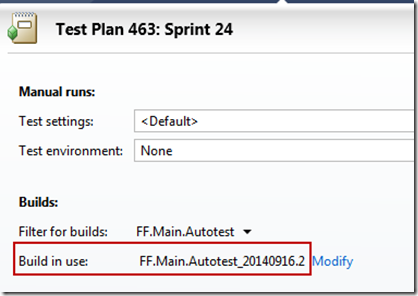 This is useful for manual testing to track which tests was run against a particular build, it will be assigned to a bug reported during testing and it is used to locate test assemblies used for running automated tests. Unfortunately you need to assign the Build in use manually, which is both tedious and easy to forget. The solution to this is of course automation. 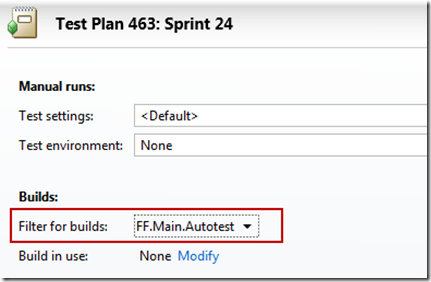 The TFS 2013 build templates can easily be extended to run a post build script (typically PowerShell). See http://msdn.microsoft.com/en-us/library/vstudio/dn376353.aspx if you want to know more about how to run a script in the build process. 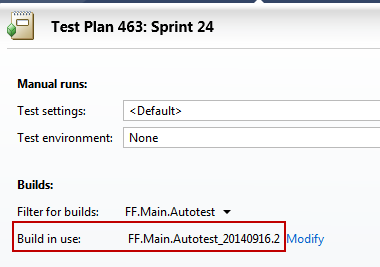 # Update all test plan using the current build definition with the latest build number. # the ‘Post-build script path’ build process parameter. Subscribe to comments with RSS or TrackBack to 'Automatically update test plan with build number'. I’m able to build my project successfully, and deploy it to the target machine, but as soon as the post script is running, and trying to modify and save the test plan, I’m getting an Access Denied message. 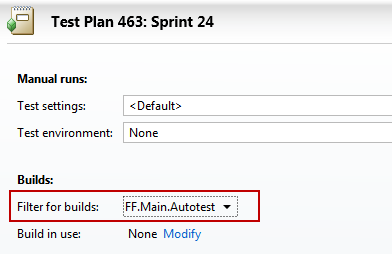 However I’m able to change the test plan by using MTM (manually – not part of build process). Hence I’m confused why the test plan can’t be saved through the post process. I added the error below. I really appreciate your help. Thank you so much for providing this script! Your work is greatly appreciated!